At LouLouBelle Skincare we use natural aromatherapy ingredients. We use only the best essential oils, plant essences and other natural substances that we believe are necessary to keep your skin looking and feeling healthy. Below is a list of the main ingredients that we use at LouLouBelle Skincare. Aloe Vera Aloe Vera is a stemless plant growing to 60-100cm tall. The leaves are thick and fleshy green and when cracked open release the natural Aloe Vera Juice. It has healing and anti-inflammatory properties, is rejuvenating, soothing and can reduce skin inflammations and itchiness. Good for sensitive skin and does not cause any irritation. Angelica Root Oil Angelica Root Oil (Angelica Archangelica Root Oil) has a sharp, green, herbaceous aroma with peppery overtones. Excellent for dull and congested skin. Apple Seed Oil Apple Seed oil is rich in essential fatty acids, amino acids, Vitamin C and proteins. It is very effective for dry skin and has anti-ageing properties. It is a very nourishing oil and keeps skin soft and moisturised. It is also said to have rejuvenating properties for the skin. Apricot Kernel Oil Rich in essential fatty acids like oleic and linoleic acid, Apricot Kernel oil is high in vitamin A, C & E. It has all the elements needed to repair prematurely aged, dry or irritated skin, and keep it glowing. With this oil, the skin maintains its elasticity levels and sensitive skin also responds well to it. Argan Oil Argan oil is pressed from the nut of the fruit of the Argan Tree. It is packed with anti-oxidants, Omega-6 fatty acids, and linoleic acid and vitamin E. Improves skin elasticity. Avocado Oil An excellent source of omega-3 fatty acids and vitamins A, D and E, and can provide skin with deep moisture. With its high level of vitamin E, avocado oil may reduce itching and inflammation of the skin and is also beneficial in softening skin. Avocado oils wonderful moisture retaining abilities make it an excellent moisturiser for a dehydrated skin type. Bergamot Essential Oil (FCF Free) Bergamot Essential Oil (FCF Free) (Citrus Aurantium Bergamia) has antibacterial and antiseptic properties which can be useful for oily and acne prone skin. Black Pepper Essential Oil Black pepper essential oil has a warm, fresh and spicy aroma. It is stimulating, revitalising and a general tonic in maintaining healthy circulation. Used in massage, black pepper essential oil is known to relax tired muscles and ease muscular stiffness after exercise. Blueberry Oil Blueberry Seed oil is one of Nature’s most potent antioxidants. It is a light oil and absorbs quickly into the skin. It is rich in essential fatty acids and phytonutrients. It’s fatty acid content is very close to Rosehip Oil. It is an excellent oil for sensitive and oily skins. It promotes elasticity to the skin and helps to slow down the visible signs of skin aging. Blueberry seed oil also contains vitamins A, B complex, C and E, potassium, zinc, copper, iron and magnesium. Borage Oil Borage oil has one of the highest amounts of gamma-linolenic acid (GLA, also known as omega-6). It is excellent for skin, helping restore suppleness, elasticity and tone tired, dry skin. It is widely used because its combination of Omega 3 and Omega 6 fatty acids nourish the skin, giving it an extraordinary capacity of regeneration. A dry thin oil that is absorbed quickly by the skin. Calendula Oil Calendula oil is derived from the lovely and simple Marigold flowers. Calendula is a powerful anti-inflammatory, anti-bacterial agent, and antiseptic. Whether your issues are dermatitis, eczema or irritated dry skin, calendula will bring relief and health back to your world. The high content of antioxidants found in Calendula oil contributes to the cell regeneration aspect of the oil. Castor Oil Castor oil is a wonderful moisturiser. The high concentrated fatty acids penetrate the skin easily. This helps remove dry patches and restores hydration of the skin. Cedarwood Essential Oil Cedarwood essential oil (Cedrus Atlantica) has an astringent effect which is beneficial for oily skin, acne. Chamomile Essential Oil Chamomile essential oil (Anthemis Nobles) is very relaxing and its anti-bacterial and anti-inflammatory properties make it an excellent essential oil for use in skincare to soothe sensitive and itchy skin. Cherry Kernel Oil Cherry Kernel oil contains natural antioxidants, alpha, delta and gamma tocopherols plus vitamins A & E. It is light and moisturising to the skin. Coriander Essential Oil Coriander Seed can help detox the body and ease rheumatism, arthritis pain and muscular spasms. It is a popular essential oil for post-sport stiffness. Cucumber Oil Is rich in linoleic, or omega-6, fatty acids, as well as vitamins B1 and C, tocopherols, and phytopherols. These are believed to be effective for detoxifying the skin, retaining moisture, preventing aging, and deep cleansing pores. Most of the acids present in the seed also have natural anti-inflammatory properties. Cypress Essential Oil Cypress oil (Cupressus Sempervirens) has incredible astringent properties which makes it useful for aiding acne and oily skin types. Eucalyptus Essential Oil Eucalyptus essential oil (Eucalyptus Globulus) is antibacterial, refreshing and stimulating. The penetrating qualities of eucalyptus essential oil is ideal for oily skins. Fennel (Sweet) Essential Oil Fennel oil has cleansing, toning, purifying and stimulating properties. Fractionated Coconut Oil Fractionated coconut oil is tolerated by all skin types  even sensitive. It functions as a skin conditioner by providing a protective layer that helps lock in moisture. It is non-greasy and sinks straight into the skin leaving a silky smooth feel. Excellent for dry skin. Frankincense Essential Oil Frankincense essential oil (Boswellia Carterii) has a rejuvenating, balancing and healing action on the skin. It is particularly helpful for mature skin, wrinkles, scars and combination skin. Geogard 221 (Benzyl Alcohol & Dehydroacetic Acid) A globally approved preservative for cosmetics and toiletries with broad spectrum activity. This preservative meets ECOCERT and COSMOS standards. Geranium Essential Oil Geranium essential oil (Pelargonium Graveolens Flower Oil) has stimulating and regenerating properties making this essential oil wonderful as a body skincare product for all skin types. Geranium essential oil is very useful for normalising excessively dry or oily skin. It has a powerful, sweet and floral aroma with a fruity undertone. 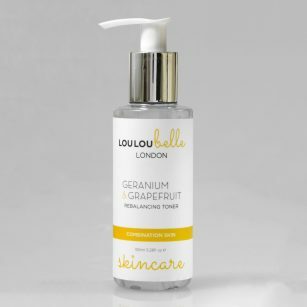 Geranium Floral Water A balancing act on the skin, making it ideal for combination and teenage skin. Geranium water will help to dry oily patches of the skin and encourage dry patches to improve normal oil secretion of the skin. Glycerin Glycerin is a skin-friendly humectant which draws water to the skin. Grapefruit Essential Oil Grapefruit essential oil (Citrus Paradise) is toning and invigorating to tired skin. Grapefruit essential oil is uplifting, refreshing and reviving. A detoxifying and purifying essential oil. It has a fresh, citrus and uplifting aroma. Grapeseed Oil Grapeseed oil has astringent qualities that help tighten skin and close up the pores. This very light oil can be used by those with even sensitive skin, and works as an excellent moisturizer that won't clog pores. Hazelnut Oil Hazelnut oil acts as an excellent moisturiser because it has a number of essential fatty acids such as linoleic acid, which can rehydrate the skin. It is also a rich source of vitamin E. This oil is very light and easily absorbed into the skin. It is particularly good for sensitive skin and best suited for those with oily skin as the moisturizing property of hazelnut keeps the skin free from excessive secretions. Also, the astringent properties in the oil tightens the pores and so limits the oil secretions, thus helping to maintain clean and clear skin. Himalayan Salt Himalayan salt is an excellent natural detoxifier and contains 84 minerals including magnesium, calcium, iron and potassium that are essential to the human body. The salts are naturally pink in colour due to the rich iron content in the minerals. Jojoba Oil Jojoba oil is very identical to sebum which we have naturally in the skin. It can also be used to eliminate excess sebum. It is anti-bacterial and anti inflammatory. Besides making skin firm and hydrated, jojoba oil is also efficient in decreasing the look of wrinkles. It is loaded in Vitamin E which is effective in removing the free radicals that are accountable for skin ageing. Linoleic acid and the anti-oxidants existing in jojoba oil aids regenerating the skin cells. Kiwi Oil Kiwi oil contains among the highest levels of Omega-3 fatty acids (up to 65%), is rich in vitamins C, A and E and minerals, and possesses excellent healing, skin balancing and elasticity restoring qualities. It is also excellent for treating sensitive skin. Kiwi seed oil is a very good anti-wrinkle/skin rejuvenation oil. It helps to give elasticity to the skin. Lavender Essential Oil Lavender essential oil is generally regarded as the most versatile essential oil. It has antiseptic, balancing, soothing and rejuvenating properties. The soothing properties of lavender essential oil make it an ideal oil for use in everyday problem skin. It is suitable for all skin types. It has a sweet and floral-herbaceous aroma with a woody undertone. Lavender Floral water Lavender Floral Water is the by-product of the steam distillation process used to make essential oils. Lavender Floral Water contains all the same plant essence components as essential oil, has all the beneficial qualities and sweet aroma of essential oil. Lavender Floral water is also mildly astringent and helps to control blemishes and breakouts. It also has powerful regenerative effects on damaged or fragile skin and is soothing and calming. Lemon Essential Oil Lemon essential oil (Citrus medica limonum (Lemon) Peel Oil) has antiseptic properties, is astringent, antibacterial and refreshing. It is revitalising and uplifting. Lemon essential oil has proven to be highly beneficial in combination, oily and teenage skins and to revive a dull complexions, encouraging the skin to remain healthy and vibrant. It has a very light, fresh and sweet aroma. Lime Essential Oil (Distilled) Lime essential oil is refreshing and uplifting and can help to relieve stress-related fatigue, apathy and depression. It is useful for clearing congested skin and for relieving pain in the joints and muscles and can improve poor circulation. Please note that distilled Lime essential oil is not phototoxic, whereas cold-pressed Lime oil is. Mandarin Red Essential Oil Mandarin Red essential oil (Citrus Nobilis) is a soothing and gentle essential oil. It has uplifting and balancing qualities. It has antiseptic and toning properties which makes it useful for treating acne and congested skin. Mandarin is one of the safest essential oils and is particularly recommended for children and for use during pregnancy. Mango Butter Mango butter is highly effective as far as caring for the skin is concerned. It is highly nourishing for the skin and hydrates it really well. It also contains vitamins A, C and E, which work to combat free radicals, has skin softening, soothing & moisturizing properties. Helps to combat dry skin, eczema and dermatitis, is helpful in protecting the skin from the weather and UV radiation. Contains anti-oxidant, anti-inflammatory and anti-ageing properties, is non-greasy and absorbs easily into the skin. Myrtle Essential Oil Myrtle essential oil (Myrtus Communis) has clarifying, cleansing, refreshing and uplifting properties. It's astringent properties make it useful in skin care for oily skin, open pores, acne and mature skin. NF Emulsifying Wax - Cetearyl Alcohol & Polysorbate 60 Emulsifying Wax NF is a reliable, easy to use, gentle emulsifier. It penetrates deep into the skin and provides a long-lasting shield of moisture to keep skin smooth and supple. Olivem 1000 Emulsifier - Cetearyl Olivate & Sorbitan Olivate Olivem 1000 is naturally derived from olive oil. It provides a deep moisturizing effect with excellent spreadability thanks to its special structure. Thanks to its restructuring and thickness properties, prevents the signs of the time giving tonicity and elasticity to the skin. Olivem 1000 is a self-emulsifying, PEG-free non-ionic oil-in-water emulsifier developed from natural olive chemistry. It allows actives to penetrate into the skin more easily. Orange (Sweet) Essential Oil Orange (Sweet) essential oil has a tonic effect on the skin and can help to support collagen formation. It can also help to detoxify congested complexions. Particularly beneficial for acne or blemish prone skin, mature, dry and irritated skin and dermatitis. Orange Floral Water Orange Blossom flower water is fresh and rich in fragrance with skin rejuvenating properties. Orange Flower Water helps to calm and settle the skin. It has healing, anti-ageing and regenerative properties which are beneficial for all skin types including, dry, mature and combination skin. Palmarosa Essential Oil Palmarosa essential oil (Cymbopogon Martini) helps to hydrate the skin, balance sebum levels and regenerate healthy new cells. It is particularly helpful for dry and damaged skin. Passionfruit Oil Passion fruit oil is full of nutrients that are good for skin. Among these are vitamins A and C, essential fatty acids, copper, magnesium, phosphorus, calcium, and carotenoids. 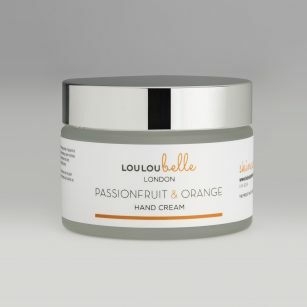 Because of the high vitamin C and antioxidant content, passion fruit oil helps slow the damage that leads to the appearance of ageing, and also helps preserve collagen and elastin, which keep skin looking firm and youthful. A high content of fatty acids like linoleic and oleic acids “feed” the skin what it needs to maintain its structure, keeping skin smooth and plump. This oil is light and non-greasy, and the skin drinks it up quick. Like most plant-sourced ingredients, passion fruit oil has an anti-inflammatory property. Patchouli Essential Oil Patchouli essential oil (Pogostemon Cablin) helps to regenerate healthy, new skin cells, heal wounds and reduce scarring. It is also good for dehydrated skin. Patchouli helps to reduce inflammation and is beneficial for dermatitis, acne. Peach Kernel Oil Peach Kernel oil has anti-aging properties and has a light, penetrative consistency. It contains vitamins A, B and E. Of these, vitamin E is particularly beneficial to your skin as it is an antioxidant, eliminating free radicals, it is especially good for sensitive, inflamed, dry or mature skin. Peppermint Essential Oil Peppermint is a perennial herb that is native to the Mediterranean. It is also widely cultivated in the UK, USA, China and Japan. Peppermint essential oil has a soothing, cooling effect on the skin. It can help to reduce redness and inflammation and calm irritation and itchiness. Pine Essential Oil Pine is a cleansing, restorative, reviving and strengthening essential oil that can be useful for muscular aches and pains and for relieving fatigue. Plum Kernel Oil Is high in Linoleic and Oleic fatty acids, vitamins A and E and beta-sitosterol. Helps to prevent collagen degeneration. It is easily absorbed and leaves no greasy residue. It is perfect for dry and mature skins. Prickly Pear Oil Prickly Pear oil is a light, stable and versatile oil, which spreads and absorbs easily and quickly into the skin and improves skin elasticity. It is a powerful moisturiser and leaves the skin feeling velvety soft and in turn helping to prevent wrinkling. It also has a high concentration of Vitamin E and essential fatty acids, which in turn protect against free radicals. It brightens dark spots and under-eye shadows and also aids in erasing hyperpigmentation spots. Rose Floral Water Rose water is the aqueous solution of the distillate of rose petals. The Original and most exquisite of all floral waters. Rose water is elegant and soothing to the skin, helping with reddened and inflamed skin. Rose water is good for mature, dry, or sensitive skin. Sensitive skin is cooled and soothed by the application of rose water. The moisturising effects of Rose Water also enhance skin tone. Rose water promotes healthy and elastic skin. Rose Otto Essential Oil Rose otto essential oil (Rosa Damascena) is used in skin care preparations, especially for mature and sensitive complexions and wrinkles. It has often been described as the 'queen of flowers' and many aromatherapists believe there is no finer essential oil than Rose Otto. Rose oil stimulates the skin, while moisturising and hydrating. It boosts all skin types and is particularly beneficial for dry, mature, inflamed and sensitive skin. It helps to reduce skin redness, fight inflammation, and its astringent properties act as a general skin tonic. Rosehip Oil It is an excellent source vitamin A, which is also very good for treating all kinds of skin problems. Rosehip is amongst the best vegetable oil source of omega 3 and is also a good source of omega 6, both essential fatty acids collectively known as vitamin F, involved in cellular membrane and tissue regeneration and normalising skin with large pores. Rosemary Essential Oil Rosemary oil (Rosemarinus Officials) has powerful disinfectant and antiseptic properties which helps to treat acne and oily skin conditions. Rosewood Essential Oil Rosewood essential oil (Aniba Rosaeodora) has gentle healing properties that are beneficial for the skin. It is suitable for all skin types especially sensitive and damaged skin and it is believed to have a rejuvenating effect on the skin. Sandalwood Essential Oil Sandalwood essential oil (Santalum Album) has soothing, cooling and moisturising properties and is primarily used for dry skin conditions caused by a loss of moisture. It can also be used for the treatment of oily skin. It is excellent for all skin types, helping to balance, soothe and hydrate. It can help relieve itchy or inflamed skin conditions such as eczema and dermatitis and its astringent effect is also beneficial for oily skin. Spearmint Essential Oil Spearmint (Mentha spicata) is a hardy, perennial herb native to the Mediterranean. The Ancient Greeks used it to fragrance their bath water and to treat infectious skin diseases such as athlete's foot, dermatitis and scabies. Spearmint has a soothing, calming, cooling effect on itchy, red, inflamed and irritated skin conditions. Its cleansing action can also help to decongest oily and blemish prone skin. Sweet Almond Oil Sweet Almond oil is rich in Vitamin A, D & E, monounsaturated fatty acids, proteins, potassium, zinc and has outstanding anti-inflammatory properties. It is especially suited to dry, sensitive and irritated skin. It is softening, revitalising and nourishing to the skin. It is a mild hypoallergenic oil that can be safely used even on baby skin has a light in texture, and can easily penetrate deep into the skin, softening the skin. Treating dry and dull skin and getting a smooth silky glowing skin. It is extremely effective in improving blood circulation in the skin. Tea Tree Essential Oil Tea Tree essential oil (Melaleuca Alternifolia) is a deeply cleansing and antibacterial and can be helpful for skin conditions such as acne. Tea tree essential oil has a warm, fresh and spicy aroma. Thyme (White) Essential Oil Thyme essential oil has antiseptic, reviving, fortifying and emotionally uplifting, cleansing and purifying properties. Thyme essential oil has a warm, powerful and spicy aroma. Vitamin E Oil Vitamin E is a strong antioxidant that prevents premature aging. Vitamin E oil helps to prevent the formation of wrinkles by blocking free radical damage and by boosting collagen production. Vitamin E oil also treats wrinkles by supporting new skin cell growth and speeding up cell regeneration. It can also help improve skin hydration. Watermelon Seed Oil Watermelon Seed Oil is highly nourishing yet it is light oil with good absorption properties. It has a high content of omega acids, Linoleic acid and rich in B vitamins assists in the removal of excess sebum within the skin and can help restore elasticity to the skin. Watermelon oil can also be used to dissolve the oil build up in the pores, it also has excellent pore size reduction qualities. It is good for balancing oil production, while being restorative & nourishing. White Tea Extract White tea also known as Yinzhen is produced predominately in China; it is picked just a few days in spring when the white buds are young, withered and dried in natural sunlight and minimal processed to maintain its high concentration of polyphenols. It is a fabulous anti ageing ingredient and has highly antioxidant & anti-inflammatory effects. Skin protection is significantly higher than with green tea. Xanthan Gum A natural thickener. Xanthan Gum is fine powder derived from the fermentation of sugar.